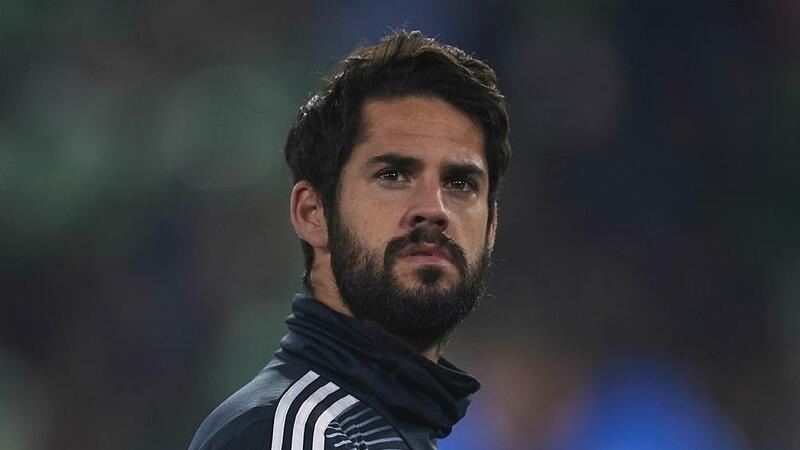 Santiago Solari insisted his decision to leave Isco as an unused substitute in a 2-1 win at Real Betis was nothing personal against the Real Madrid midfielder. Isco was benched despite Solari being without Gareth Bale, Lucas Vazquez, Toni Kroos, Marco Asensio and Marcos Llorente for Sunday's visit to the Benito Villamarin. And even when striker Karim Benzema had to be substituted at half-time due to a fractured finger, Solari instead gave a LaLiga debut to B team striker Cristo Gonzalez. Dani Ceballos and Brahim Diaz, also making his league debut, were then introduced after Sergio Canales struck to cancel out Luka Modric's early opener. Solari's call was justified, though, as Ceballos stepped up to down his old club by scoring the winner with a 20-yard free-kick in the 88th minute. And with Marcelo also an unused substitute, youngster Sergio Reguilon preferred at left-back, Solari explained his selection to a news conference. "We played a serious game, we are who we are and we are all the team," Solari said. "It is made up of those who play and those who do not play. "In no way is there anything personal. "The squad is what it is and we all do our best, I as a coach, and everyone can play, they are all part of the squad. "Ceballos has these colours in his heart and it is always emotional to return to the places he left. "Football has that magic of the law of the ex that always hurts, today it was in our favour and it is one of those things that are repeated every so often." Madrid moved up to fourth ahead of next week's home game against third-placed Sevilla. And Solari hailed the impact of his youthful squad as they battled to a vital victory despite missing a number of key players. "The value of the three points to continue, and that of the contribution of the young guys who also play this year," added Solari. "That we play Vinicius [Junior], Reguilon, Cristo, [Federico] Valverde, are all under 22 years old, and that they are up to the situation is good news for the club." PREDICT THE SCORE: Barcelona vs Levante!